Here is a question I answered on the terrarium forum of gardenweb.com. 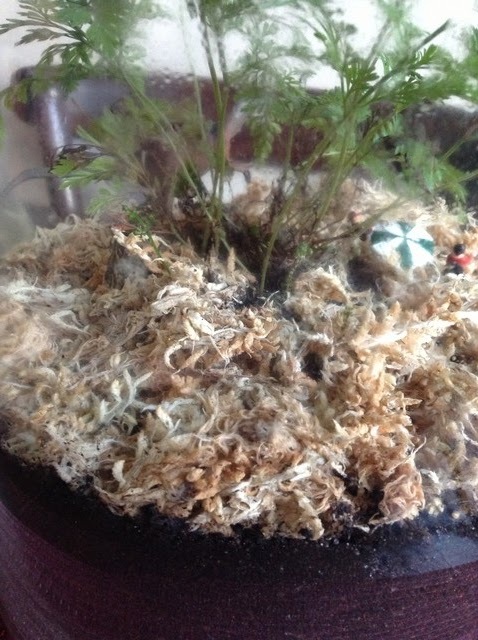 Q: Have a terrarium with a fern, would be about 2 months old & have noticed spots of mould on the glass. Has anyone else had this problem? The walls are covered in condensation even though I air it out at least once a week. A: If the opening of your terrarium is narrow you may need to let it air out more frequently than once a week. I also see that you have a layer of sphagnum moss over the soil - this may contribute to trapping more moisture in the terrarium than is desirable. I would suggest removing it.